Comments: This crinum has been grown for many years in the South. It produces nice strong foliage and scapes of ten to fifteen trumpet-shaped flowers. 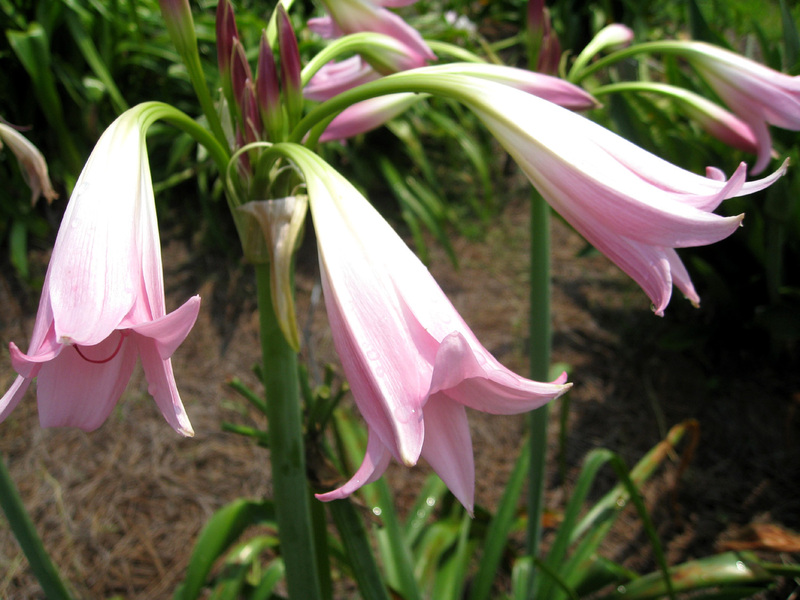 Crinums can tolerate a wide range of growing conditions from moderately dry to moderately wet soils. In Zone 7 mulch the bulbs heavily to protect from freezing temperatures. Crinums bloom from spring through the summer and many into the fall, so they can be a mainstay perennial in the summer garden. They are easy to grow and tolerate a considerable amount of neglect and still perform quite well. Divide clumps of bulbs in late fall when needed.